Each Sunday morning at 11am the congregational family of Whitehouse Presbyterian come together to worship God. We consider our approach to be contemporary, relevant, family orientated and above all a genuine expression of our relationship with God. We focus on Christ’s great command firstly, “love the Lord your God with all your heart and with all your soul and with all your mind,” and secondly, “love your neighbour as yourself.” Therefore, our worship includes the singing of old and new hymns, prayer and one or two Bible readings, which will be the subject of the 20 – 25 minute teaching sermon. As disciples of Jesus Christ our Saviour we strive to become more like Him. We encourage the ministry of all believers and the participation of children in the service. We try to achieve all this in a relaxed atmosphere where people can seek God and those who are not familiar with church will feel comfortable and welcomed. As you arrive members of the congregation are on hand to assist you to park and greet you as you enter. 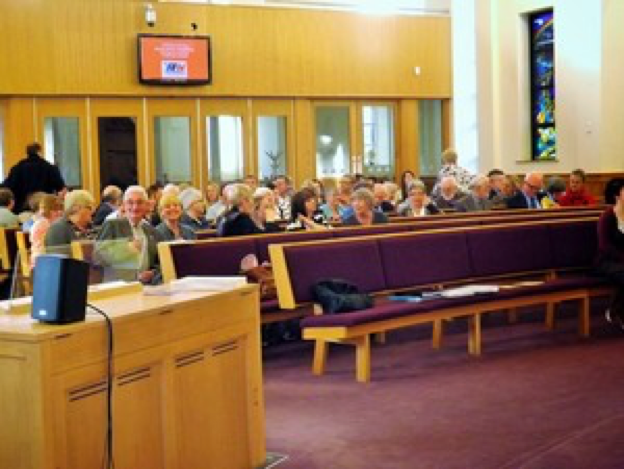 Do not worry about the need for a Bible or hymn book as Bibles are available in the pews and the words to the hymns are placed on a large screen. However, if your sight or hearing is challenged please make this known as you enter. 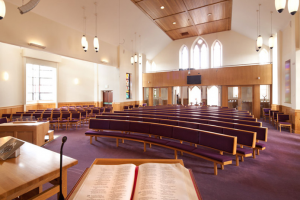 Large print copies of the order of service are available at the door and a loop system is provided for those who use hearing aids. On entering the sanctuary of the church please sit anywhere you feel comfortable. The members of Whitehouse Presbyterian Church simply love to see new children coming to church and we try to make them feel part of the service by celebrating birthdays and having a simple teaching time for them during the service. 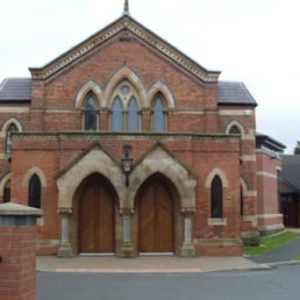 This takes place normally during the first 20 minutes of the service when children and young people go to the front of the church before leaving the main service to go to Sunday School. You are welcome to accompany your children at the front and stay with them if they would like to try Sunday School. We also know that children can be a bit disruptive but we want to assure you that as parents we know that it sounds worse to the parent of the child than to everyone else because you will be sensitive to others so please don’t worry. However, if you feel you need to take your child out there is a crèche facility through the door to the left of the pulpit. In this room, there are toys for your child to play with as well as a television, which will allow you to continue to see and hear the service. There are a number of things which may take you by surprise if you are unfamiliar with how we do things. In Whitehouse Presbyterian, we stand to sing unless directed otherwise and we sit when praying. Usually after the sermon an offering is collected when wooden plates are passed up and down the pews and the congregation place their tithes or offering on the plate. The money that is collected is used for the upkeep and administration of the church as well as supporting the churches ministries and mission. No one is compelled to give and if you do not feel lead to give just let the plate pass by and be assured that as many people now use direct debt to give this will not be though odd. You may also arrive on a special Sunday when we will be holding a thanksgiving service or baptismal service for a child. During such a service the congregation are asked stand and to make certain promises, which you do not have to make and many around you who feel they cannot fulfil the promise will also remain silent. The other special Sunday service is a communion service also known as the Lord’s Supper. This represents a meal Jesus shared with His disciple shortly before His death on the cross. Jesus used the elements of bread and wine to explain His death to His followers and commanded us to continue the practice in remembrance. In Whitehouse Presbyterian Church the Lord’s table is open to all people who love the Lord and entered a personal relationship with him. If you feel you cannot take the bread and the wine just let the plates pass. The service will normally last from 1 hour to 1 hour and 30 minutes. After the service, you will be welcome to stay or to leave. If you decide to leave please make yourself known to the Minister at the door as you go out. You can of course stay for tea/coffee and a chat, which would be great, especially if you are a visitor, as we would like to get to know you. If you require prayer there will be church members on hand to pray with you and if you require to speak to the ministry team please feel free to approach them.